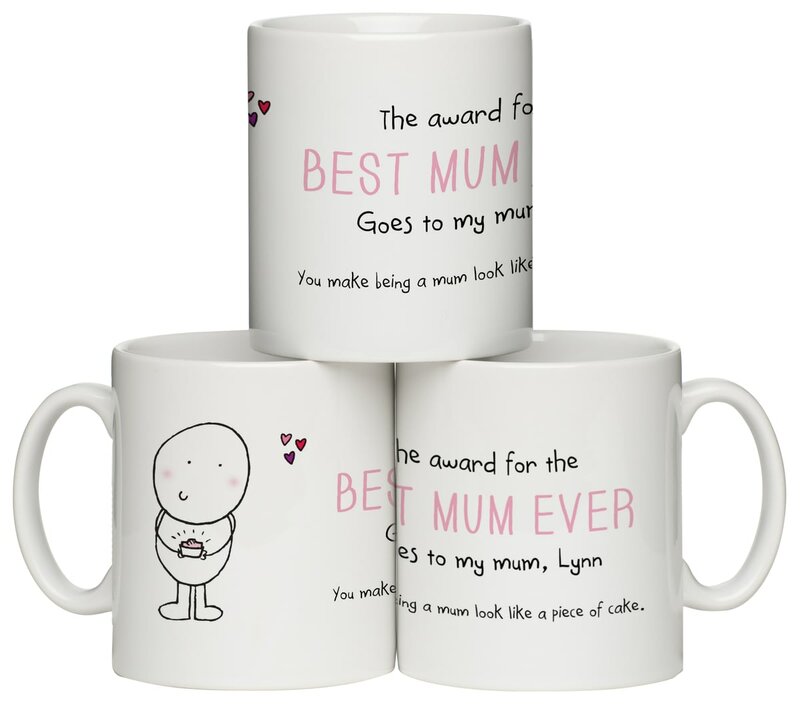 Featuring half of the cheeky duo Chilli and Bubble and a one-line message, the mug is personalised with your mum's name. The 10oz ceramic mug has a gloss finish and is safe in a dishwasher and microwave. Because you think he's worth it, award him this 'World's Best Boyfriend' mug. Because you think he's worth it, award him this 'Best Dad Ever' mug. Because you think she's worth it, award her this 'World's Best Girlfriend' mug. Whether you're giving this to Grandma to remind her to enjoy her time, or thanking a colleague for his years of hard work, this little keepsake makes a unique card. 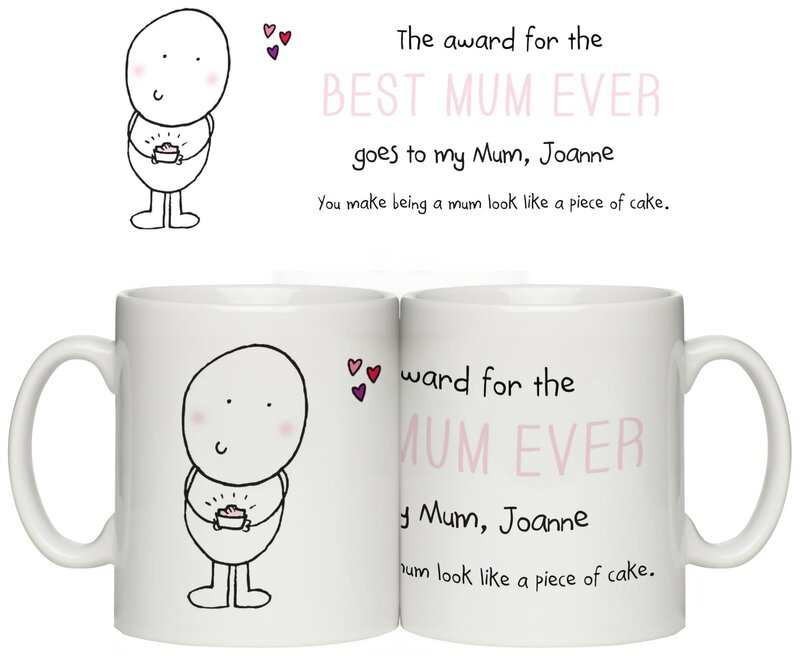 This light hearted A6, personalised book is the perfect way to tell your mum just how much you love and appreciate her. Just in case there's any doubt tell your best friend that they are with this 10oz ceramic mug. Looking for a Mother's Day card that lasts longer than the average? Give this unique bone china one instead!